When the weather is warm, swim in the outdoor pool or enjoy playing bocce with your neighbors.Search for homes for sale in Rolling Meadows. Rolling Meadows Ocean is a 55+ active adult community in the Wayside section of Ocean Township, Monmouth County, NJ. It’s in a great location because it’s close to shopping malls, theaters, beaches, libraries, museums, and much more. In the area you’ll find concerts, live theater, fine dining, parks and of course, the Jersey Shore! Additionally, Monmouth Racetrack is minutes away. There are 328 single family homes in Rolling Meadows Ocean. The homes have either 2, 3, or4 bedrooms, and all homes have a 2 car garage. In addition, some homes have a loft and / or a basement. Five different models are available which include home sizes between 1500 to 2414 square feet, and in fact, many homes are located on private wooded lots.The community no longer has new construction. The community has a spacious clubhouse with a completely equipped exercise room, a business center, a library and a computer room. Other amenities include arts and craft rooms, a billiard room, meeting room and an indoor sauna. When the weather is warm, swim in the outdoor pool or enjoy playing bocce with your neighbors. There is also a putting green, two tennis courts, horseshoe pits and shuffleboard. Clubs, activities, social gatherings and trips are available, or just stay in Rolling Meadows Ocean and relax with friends at the clubhouse. Nearby you can pursue local activities such as fishing, boating, golf and much much more. Despite the fact that Rolling Meadows doesn’t have a golf course, there are numerous golf courses in Monmouth County. 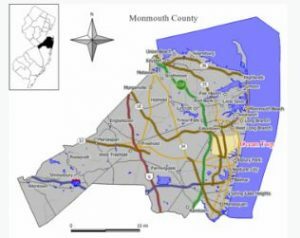 Monmouth County offers free transportation services to the residents of all adult communities. A bus follows a schedule that provides two way trips to local shopping centers, supermarkets and malls. The county has another service which will take people to any medical facility in Monmouth County. However, to use this low cost service you will need to make an advance reservation. If you either work or play in New York, the Garden State Parkway is nearby, and train service is available in West Long Branch. Is new construction what you are looking for?